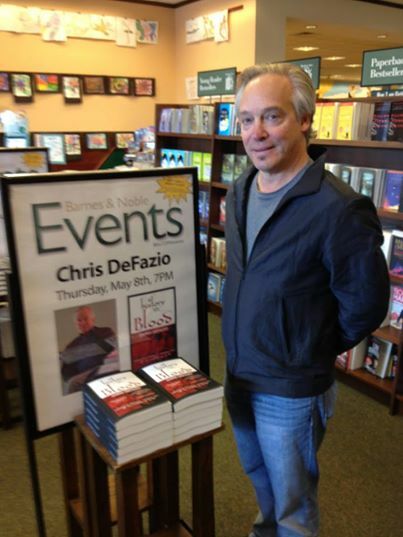 Chris DeFazio will be at Barnes & Noble in Framingham, MA, Thursday, May 8 from 7-9pm signing copies of A History in Blood (Blood Trilogy Book 1). Chris Defazio, author of the 2014 RONE Award nominated A History in Blood, knows a thing or two about parties—and research! 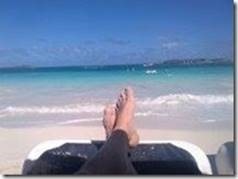 Prior to the official party, Chris endured some serious research sessions in St. Martin, prepping for his third book. After recovering from his laborious research sessions, it was time to prep for the book release party. The party started at the New Garden restaurant (aka China Star in the book). Immediately following the signing and good food, several friends accompanied the Defazio’s back to their home for the after-party. We love the banner, and we love Chris’s wife, Sheri Edsall, for all her hard work putting this awesome event together! Meet Chris (rear) and the Squid (introduced in A History in Blood). The Captain (left, introduced in the third book), The Squid (center), and Chris DeFazio (right). Family bonds! In the first picture are Chris with his oldest daughter and son; second picture is of Chris’s two daughters. “A vampire rising!” Just kidding. No humans were harmed in the making of this party—or the books, for that matter. 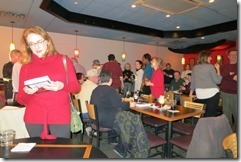 To see more photos of the party and to connect with Chris DeFazio, like him on Facebook and follow him on Twitter.